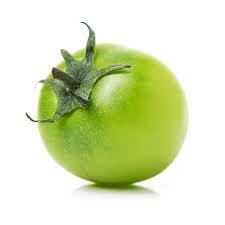 Green tomatoes are those tomatoes that have not ripened as yet and have not developed their color. They grow a green color and then as they ripen and mature go yellow and then red. They are much different from their red counterparts. They are extremely firm and not welcoming to bite into because of their hardness. Often they are seen as untouchable as they are so sour when they are raw. However, they are often used in recipes as they can be cooked and are well known for being coated in cornmeal or flour and then pan-fried to a crisp. This makes them very edible and delicious for so many. Indeed there are a great many recipes which use cooked green tomatoes including pickles and chutneys. Their bright flavor contributes much to these culinary creations and gives an added zing. So let’s take a look at what tomatoes contain. As far as Guinea pigs are concerned we are interested in their acidic water, sugar, fat, salt, calcium and phosphorus content. Unfortunately, they are unable to eat any kind of tomato as they are too acidic for guinea pigs to eat. They should be avoided as food for them. What about fried green tomatoes? Cooked foods are not good for Guinea pigs to eat and tend not to interest them. They lose their nutrients and out fruit and veggie loving piggies will not get anything from them. They still maintain some of their acidic nature though and so won’t benefit a piggie with that. A food to steer clear of feeding them. For more foods that guinea pigs can and can’t eat, check out our guinea pig food list. Can Guinea Pigs Eat Feta Cheese? Feta is a brined curd white cheese made in Greece from sheep’s milk or from a mixture of sheep and goat’s milk. Similar brined white cheeses produced in Europe are often made partly or wholly of cow’s milk, and they are sometimes also called feta. It is a crumbly aged cheese, commonly produced in blocks, and has a slightly grainy texture. Unfortunately, they can’t eat any kind of dairy product. It is just too much for their stomach and will make them sick if they eat it. A food to avoid feeding them. 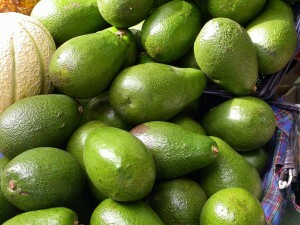 Avocados are one of those fruits that we have as part of a salad or a cooked meal or even on occasion, on its own. They are quite exotic fruits, as they are found in central mexico and often grown in tropical and Mediterranean climates. We always have an avocado around as there may be a time when we use it. So can guinea pigs eat avocados? My gut feeling is that it was a fruit that I should steer clear of for my guinea pig, but what did others say? Researching the subject seemed to conclude the same thing. In fact there was a pretty unanimous reaction!. All books, forums and sites that I looked at recommended that guinea pigs should stay well away from avocados. What isn’t good for the guinea pig, is the light green cream which is found in the avocado which causes the intestines to slow down because it is high in fat. If they do have a small amount, then it is not going to do them any harm. But a large amount may harm them. If they do eat too much of it, then do seek the advice of a veterinarian. Can guinea pigs eat avocado seeds? Avocado seeds are not safe for guinea pigs to eat either as they are full of harmful toxins for the guinea pigs. Can guinea pigs eat avocado skin? Unfortunately, avocado skin is poisonous and not safe for them. Stay well away from it as a food for guinea pigs. I didn’t even attempt to give ‘Rocket’ any avocado and will steer clear of it. With it appearing on many lists for foods that guinea pigs shouldn’t eat¸ it is not even worth risking it. A food for your guinea pig to say away from!